Love opening a new pattern by Lisa from Two Pretty Poppets! Apart from well written, clearly photographed step by step instructions, I know I will end up in love with a new bag and the Stand Up and Tote Notice (loving the play on words......) is no different. 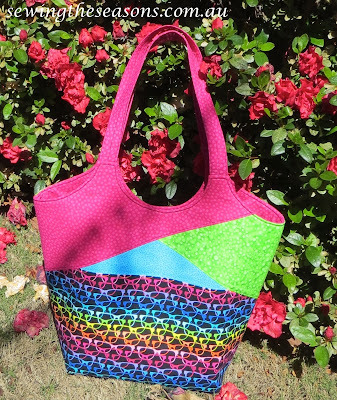 This Tote comes in 3 sizes and I chose the large and let me tell you it is L A R G E ! ! ! But oh what a great size to take shopping for fabric or other sewing delights. 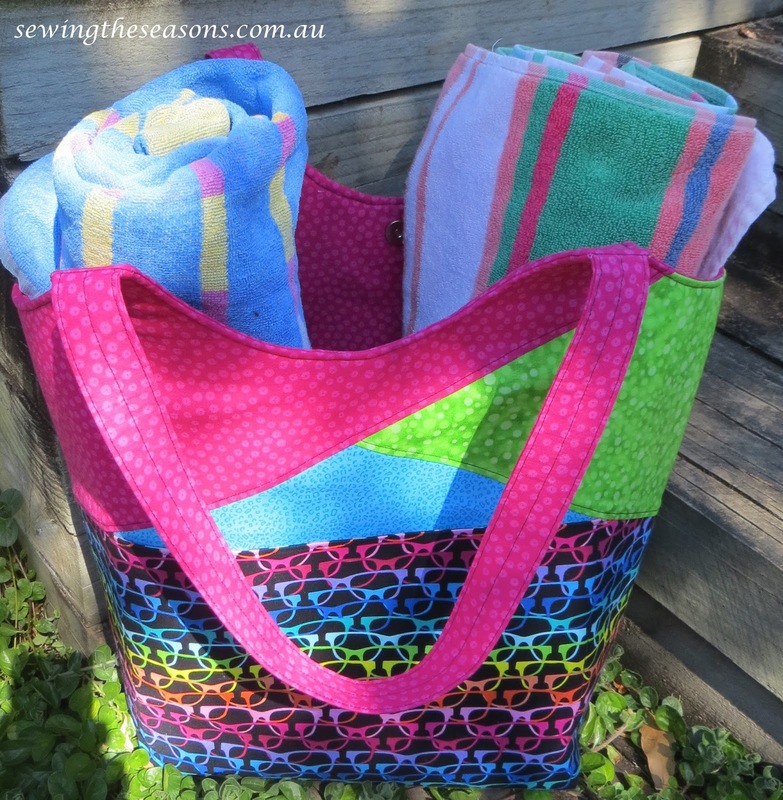 It will also be ideal for those summer trips to the beach or pool, as you can see from my photo, I have two large beach towels rolled up (only folded in half to give you an idea of size) with room to spare for cossies, sunscreen, drinks, snacks, sunhat, novel or other goodies to take to the beach. 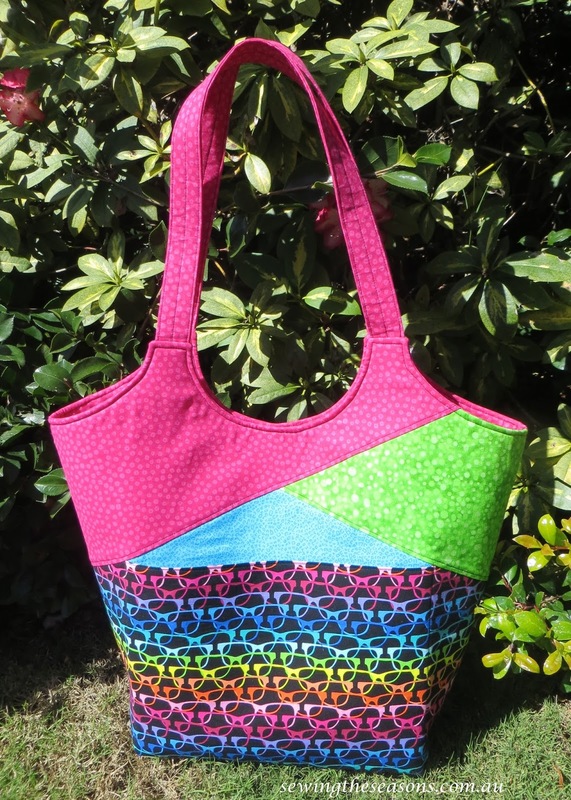 For this test, I also tried Annie's Soft and Stable for the first time and really enjoyed sewing with it, it gives the bag great shape and helps it stand up well, even empty. I did find it best to use my walking foot when using this product but would have done that anyway for interfacing. As well as the cleverly designed outer pockets, there are two internal pockets divided in half to store keys and phones etc. Check out the Two Pretty Poppets website or facebook page to see some of the other Stand Up and Tote Notice bags that have been made. I plan to make some more of these in the smaller sizes but am working on another pattern test that you will just love when Lisa releases it soon. If you want this great pattern, here is the link to the Two Pretty Poppets website shop. 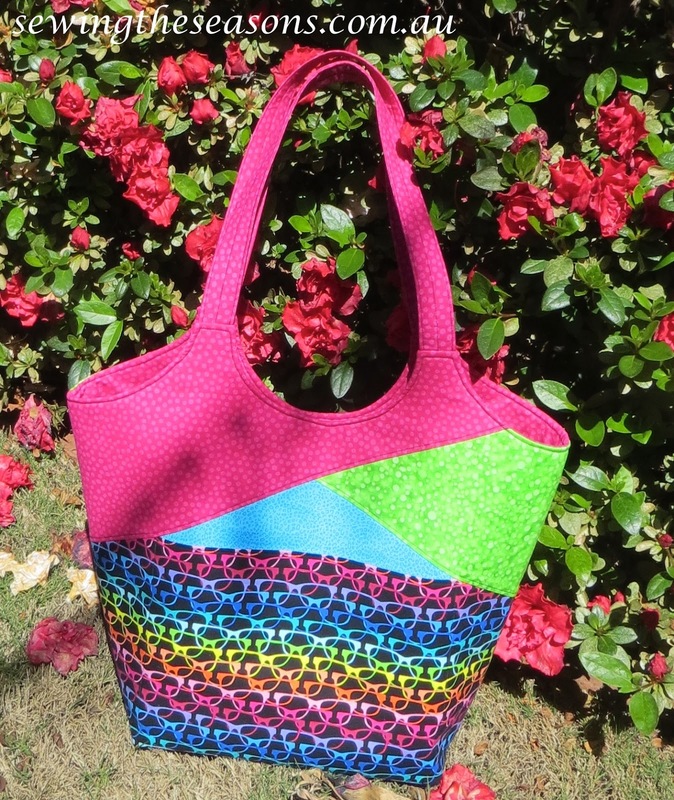 It's also available via Craftsy, or Etsy. The pattern is in the same format whichever shop you chose to purchase it from. Don't forget to pop back real soon to check out the coming pattern.